Could a 75-Year-Old Mystery Be Linked to Peter Pan? LOS ANGELES – As Yiming Xing peeled back the tattered Los Angeles Times papers from a small bundle, hoping to discover well-preserved antiques beneath the 1930s newsprint, she instead found the remains of two human fetuses. The bundles had been placed in doctor's bags inside an unclaimed green steamer trunk from the 1920s. 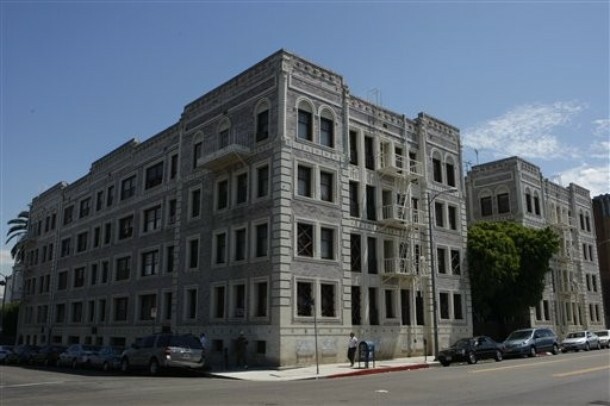 They had been there for more than 75 years in the basement of Xing's apartment complex, a four-story brick building in LA's Westlake district, a once-elegant early 20th century neighborhood west of downtown. The Glen-Donald building was home to doctors, lawyers, writers and actors when it opened in 1925 and the basement had once been a ballroom and the site of elaborate galas. Xing was helping her friend, Gloria Gomez, the building's onsite manager, clean out the basement late Tuesday when she made the discovery. The trunk was inscribed with the initials JMB and also contained a certificate giving "Miss Jean Barrie" membership to the Peter Pan Woodland Club mountain resort, which burned down in 1948, a typing manual bearing the signature "Jean M. Barrie," ticket stubs from the 1932 Los Angeles Olympic Games, wedding photos and other items. The women called 911 after discovering the first mummy-wrapped skeleton. Coroner's officials began investigating, leaving residents to speculate about the trunk's owner, the possibility of secret abortions in an era before the procedure was legal and an odd fact: Peter Pan was created by Scottish author James M. Barrie, who died in 1937. "This building is a historic building. It has a lot of stories there and now it's getting more interesting," said Xing, 35, a six-year resident and genetics researcher. Faced with a mystery three-quarters of a century old, however, no one could immediately say whether there was a connection between the unknown Jean M. Barrie and the fetuses, whether someone else might have hidden them in the trunk, and whether Jean M. Barrie was related to James M. Barrie. While cleaning, Gomez and Xing had tried several keys on the steamer trunk but finally had to pry it open with a screwdriver. The drawers were full and they found items that included a pearl necklace, a girdle, a bowl, a toilet figurine, books, photos, documents and a cigar box painted with depictions of saints. Then they found the two black leather doctor bags. Xing opened the first soft bundle and found what looked like a piece of brown, dry, very old looking wood. Coroner's investigators unwrapped the second bundle to find the larger set of remains. 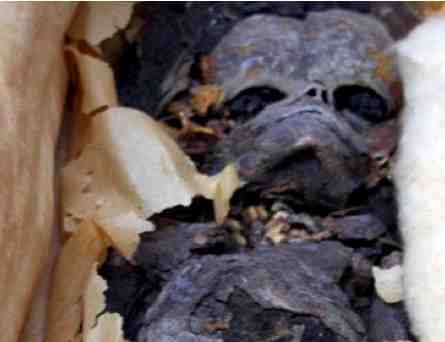 Xing said the second remains "looked exactly like a baby" with a head and hair "and looked very developed." Coroner's investigators took the remains, drawers, medical bags, photos, personal letters and postcards, Gomez said. Former building manager John Medford, 68, who has lived there for 22 years, was among those speculating that the fetuses perhaps were from abortions. However, the second baby might have been full term. Both babies were wrapped in early 1930s newspapers. "We'll try to reconstruct the circumstances based on what the coroner tells us, based on the history of the residence and based on science," Chief Charlie Beck told the Los Angeles Times. "We have many more tools and technology available to us than before, which may allow for identification of the victims and closure to any family members." Shown in this Wednesday, August 18, 2010 photo (above) is a Los Angeles Evening Herald and Express dated September 17, 1937 newspaper that was among objects found inside a steamer trunk where two infant skeletons were discovered. 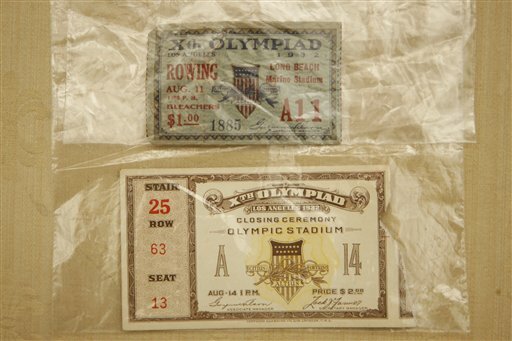 Tickets for the 1932 Olympics (above) that were found along with two infants inside a steamer trunk. 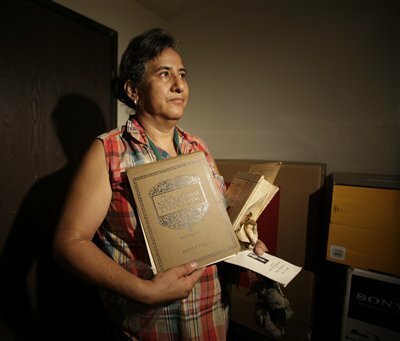 On Wednesday, August 18, 2010 property manager Gloria Gomez holds objects found stored in a steamer trunk along with two dead infants in Los Angeles. 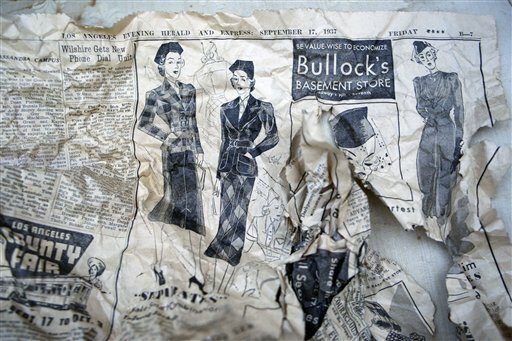 Gomez and the property owner Yiming Xing found the remains wrapped in 1930s newspapers, as they were cleaning out the basement. Who was James M. Barrie? 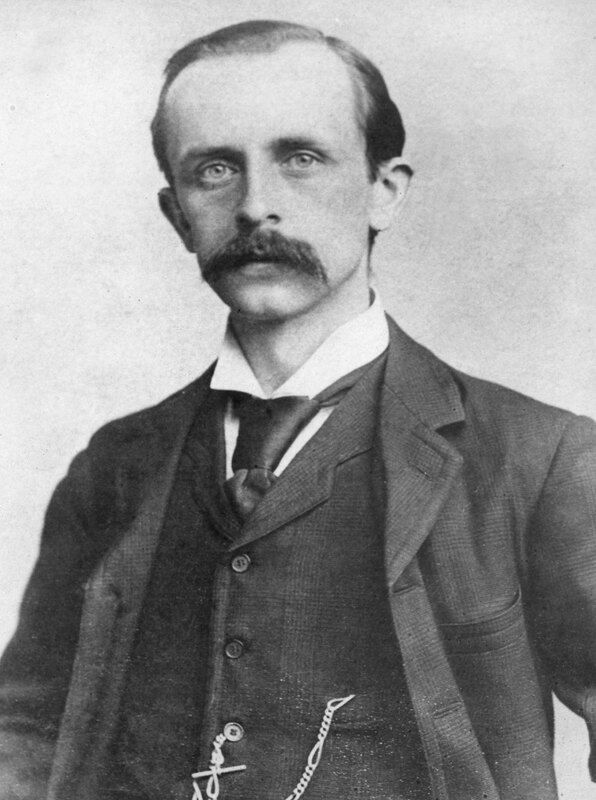 James M. Barrie (1860-1937), Scottish author and dramatist, was best known for his character Peter Pan. 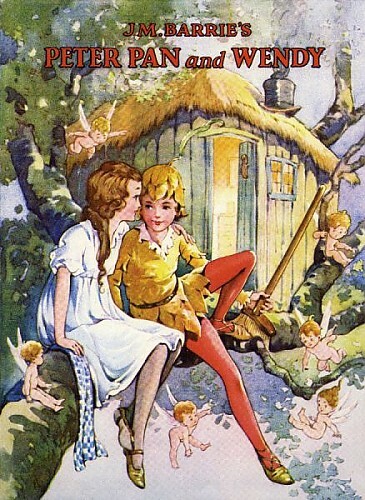 The play Peter Pan or, The Boy Who Would Not Grow Up was first performed in 1904 and published in 1928. 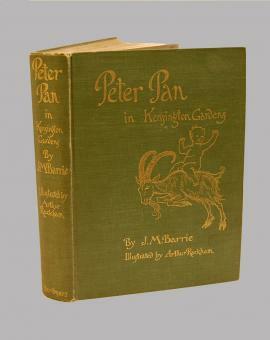 Other titles in the Peter Pan series are; The Little White Bird: or, Adventures in Kensington Gardens (1902), Peter Pan in Kensington Gardens (1906), When Wendy Grew Up: An Afterthought (1908), and Peter and Wendy (1911). The ever popular characters of Peter, Wendy, Tinker Bell, The Lost Boys, Captain Hook, and the other pirates, indians, and fairies have inspired numerous adaptations to the stage, television, and film. The 2004 film “Finding Neverland” is based on Barrie’s life. Find out more about James M. Barrie HERE.